One of my intents was to write a story in which the science was essential; another was for it to be entertaining. Tony Rothman, (From the Author). Firebird is a mythological bird from the Slavic folklore. Sometimes it is large, sometimes peacock-like; its feathers are magnificent fiery red, orange, and yellow. In folk tales heroes go on quests to capture the bird. In Tony Rothman’s novel, heroes embark on a similarly difficult and perilous task – that of supplying the mankind’s need for clean and affordable energy, by creating nuclear fusion here on Earth. In Firebird, there are two leading fusion facilities: ITER (International Thermonuclear Experimental Reactor) in France and CFRC (Controlled Fusion Research Center) in Texas. Both are in experimental stage, probably years before they might achieve fusion. The protagonist, Dr. Nathaniel Machuzak, is a nuclear physicist in charge of one of CFRC’s units. To his surprise, the director of the Center has ordered to achieve fusion on the day of the CFRC’s dedication. The stakes are high. The tag price for each machine is astronomical. Corporations and politicians want limitless, safe energy, but they are not ready to shell out the money when there is no guarantee that a machine can replicate the conditions that exist at the cores of stars. Rival scientists have different agendas, and no one actually knows what might work. The stress level skyrocket, then an explosion puts the entire project at risk. Accusations are rife. Scientists’ and engineers’ lives are endangered. Police investigation uncovers secrets that make one wonder who are the good guys. Following the first fusion experiments in the 1930s, fusion physics laboratories were established in nearly every industrialized nation. By the mid-1950s “fusion machines” were operating in the Soviet Union, the United Kingdom, the United States, France, Germany and Japan. Through these, scientists’ understanding of the fusion process was gradually refined. A major breakthrough occurred in 1968 in the Soviet Union. Researchers there were able to achieve temperature levels and plasma confinement times—two of the main criteria to achieving fusion—that had never been attained before. The Soviet machine was a doughnut-shaped magnetic confinement device called a tokamak. From this time on, the tokamak was to become the dominant concept in fusion research, and tokamak devices multiplied across the globe. Fusion research has increased key fusion plasma performance parameters by a factor of 10,000 over 50 years; research is now less than a factor of 10 away from producing the core of a fusion power plant. “ to deliver ten times the power it consumes. 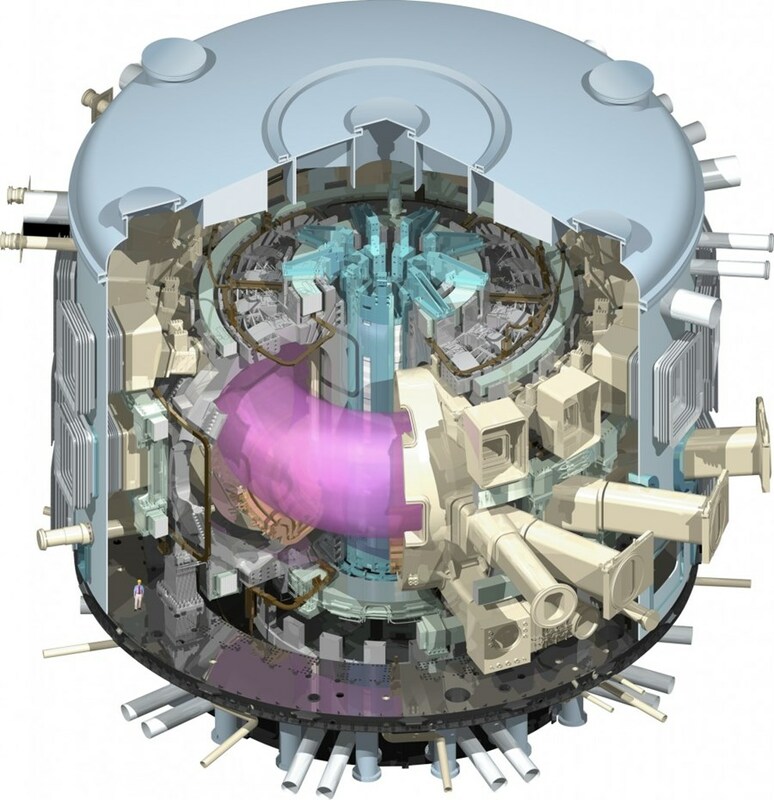 From 50 MW of input power, the ITER machine is designed to produce 500 MW of fusion power—the first of all fusion experiments to produce net energy. In real world, it’ll take years before ITER’s construction will be complete, and experiments will commence. In Firebird, Tony Rothman leaped over a few decades: ITER is operational and so is its American (fictional) counterpart, the CFRC. Both facilities are populated with a multinational cast of scientists. Will either of them achieve fusion? The race is on, and neither side is ready to give up. The scientists on each side are ingenious, but is it enough when their opponents restore to intimidation, sabotage and killing? I recommend Firebird to those who like real physics in thrillers/science fiction and are not offended by pretty intense cursing. To find more about the book and the author visit www.tonyrothman.com. This entry was posted in fiction, lab lit, physics, science fiction and tagged Firebird, fusion, physicists, thriller. Bookmark the permalink.